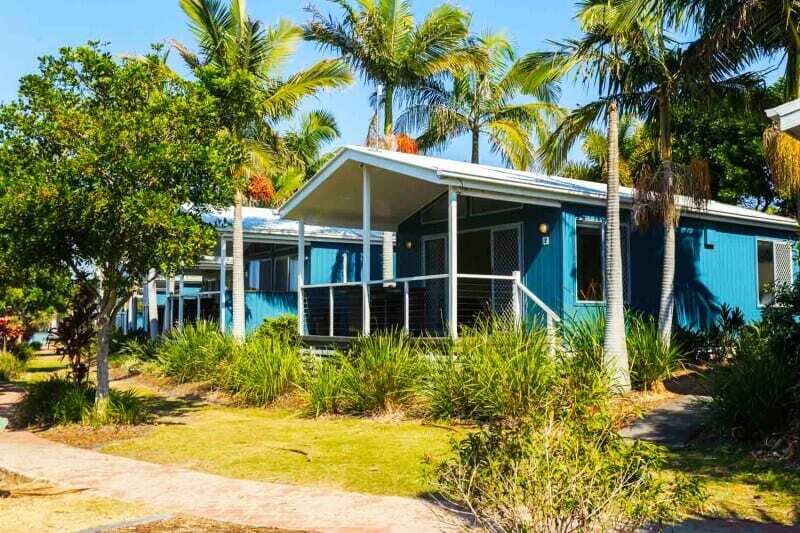 A few nights away was just what our family needed, and Brunswick Heads was the perfect location for this weekend retreat. We were looking to escape our busy calendars and relax as a family. And we wanted the kids to be off their technology and be outdoors exploring the world. Our family needed unplugging from the chaos of our everyday life to reconnect with each other. The great coast line of Northern NSW was the place to do just that. 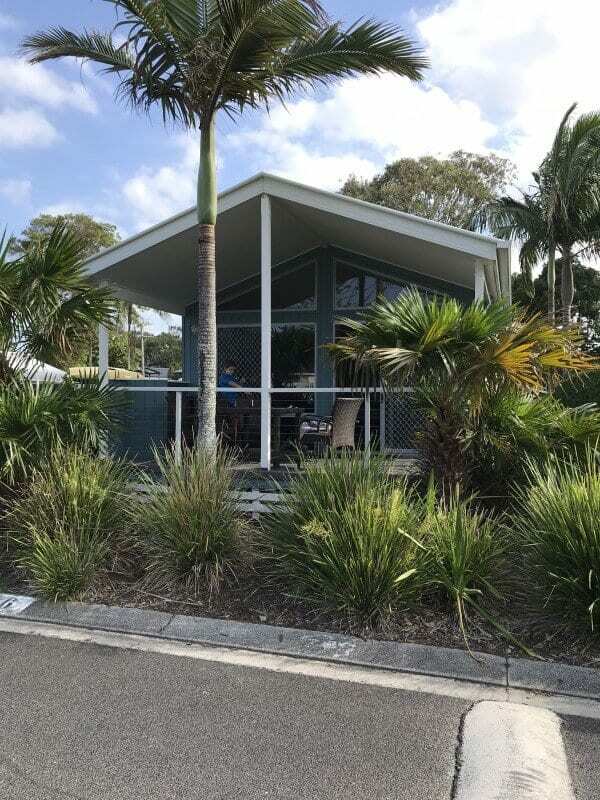 We headed straight to the Reflections Holiday Parks Massy Greene at Brunswick Heads, only a short trip from our home on the Gold Coast. Packing light and not having to travel far was one of the joys of this family weekend getaway. It meant we could relax more and have longer time to enjoy our destination. The beach town of Brunswick Heads is the right mix of sleepiness, funky shops, cafes and local restaurants. It’s only 20 minutes north of Byron Bay, but nowhere near as busy or crowded. Reflections Holiday Parks Massy Greene is situated right on the Brunswick River, the perfect place for playing and unwinding. The Park itself has a variety of accommodation from unpowered and powered sites and self-contained cabins. The location of Reflections Holiday Parks Massy Greene on the banks of the calm and clear Brunswick River can’t be beat. The beach and town are also within walking distance. 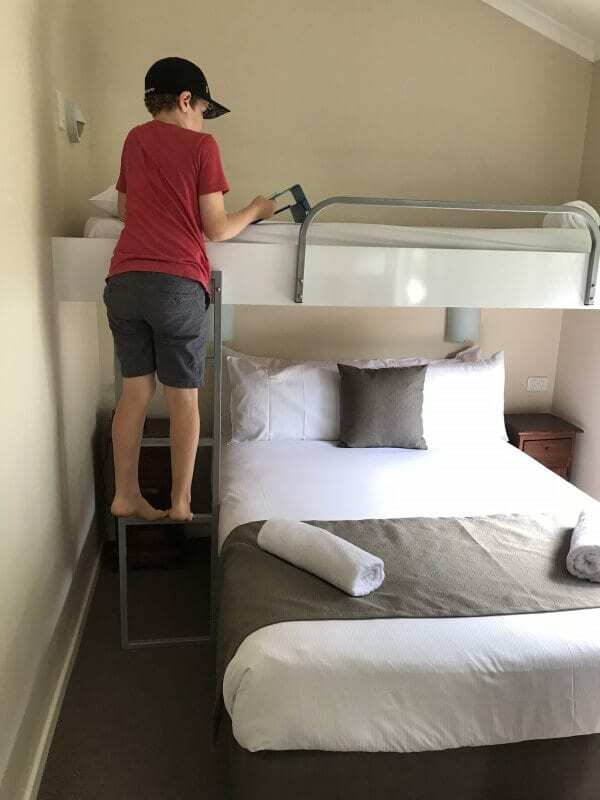 Our family expectations for any accommodation can be quite high and at Massy Greene all the boxes were ticked. The deluxe cabin we stayed in was beyond our expectations. We spent two nights in a 2 bedroom deluxe cabin and we wished we could stay longer. The cabins are situated one row back from the river and we could see glimpses of the water from our deck. The cabin was the perfect set up for a family of five as the second bedroom had a double bed with a bunk over the top of the bed. Our bedroom had a very comfortable bed with hotel quality white bedding and fluffy towels. We also had a TV in our room as well as another TV in the lounge room. The cabin was very clean and had a separate toilet and shower. The deluxe cabin had a large kitchen, dining and lounge room. The kitchen had a full size fridge, dishwasher, stove top and microwave and enough crockery and cutlery to eat in and cook. We took advantage of the BBQ on the deck and had sausage sandwiches for lunch. The large deck had an outdoor setting for all of us to sit around and have breakfast and afternoon nibbles. Sitting on the deck and watching the holiday park activity was the place to be each afternoon with our cheese and wine. We watched the afternoon rituals of the other holiday makers, taking their drinks and chairs to join their new found friends and have a yarn. Everyone in the park was happy to have a chat and give us a wave while we watched from our deck. The kids loved the playground next to our cabin and were happy to play each afternoon and make new mates. After a play on the slides we headed to the river to watch the kids play in the shallow waters with the other Holiday Park guests. The tidal river was crystal clear and was a hive of activity. At low tide the kids enjoyed building sandcastles and playing in the water. Once the tide rose the fishing rods came out and with the bait bought from the reception we were able to catch a few bream. The kids wished they had bought their bikes and scooters as there was many other children playing on the Parks streets with their bikes. We left the car at the Reflections Holiday Park all weekend as everything we needed was in walking distance. Even though Brunswick Heads is a small coastal village there is such a huge variety of eclectic shops and cafes. We walked from our cabin and explored the town of Brunswick Heads. In town we found an amazing mix of retro collectables, funky second hand stores and unique homewares. Each store had its own vibe and personality; it was easy to get lost in them and find quirky pieces. Being on holidays meant that there we no plans to cook dinner! With so many restaurant choices and an assortment of takeaway menus that we collected from our walk around town, we decided to try the Mexican restaurant, Gringos, which is located just outside the entrance to the Holiday Park. I think we counted 50 steps from our cabin to Gringos. We had a wonderful fresh meal sitting outside enjoying a few margaritas with dinner. The kids’ meals were large and well-priced and everyone left happy with their dinner. 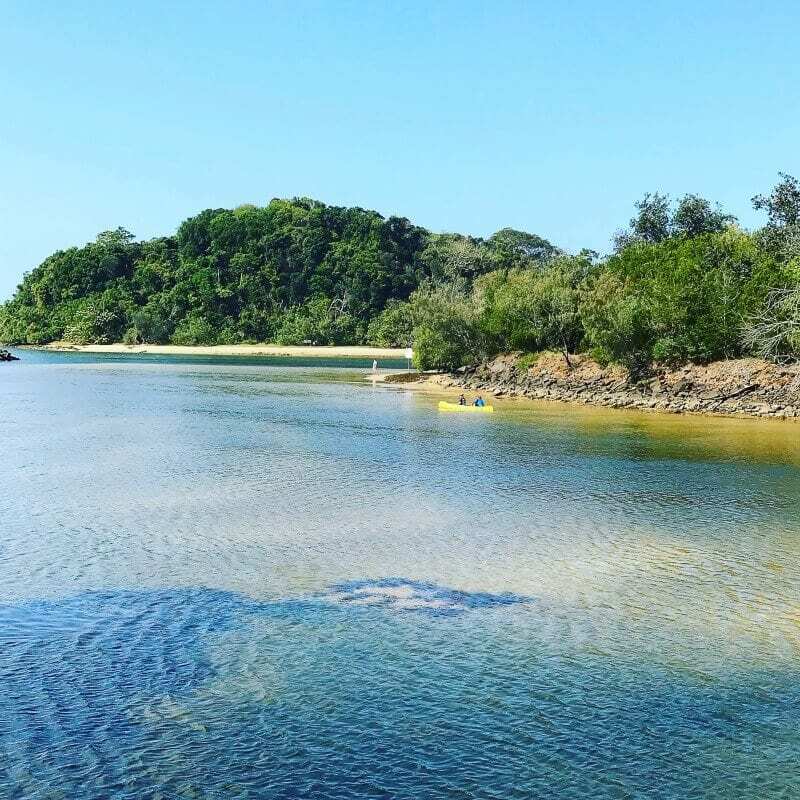 There are many places at Brunswick to swim – the river has many hidden gems and can be accessed during low tide. We also walked to the beach from the Holiday Park which took about 5 minutes. The beach is a fantastic stretch and has lifesavers dotted along the coast line. We watched many fisherman take their boats out so we decided to hire one for ourselves. Outside the Brunswick Hotel is a boat hire place which is a few minute walk from the Holiday Park. We took a small boat out for a few hours and took advantage of the Brunswick River. With our fishing rods on board we got lucky with a few catches. 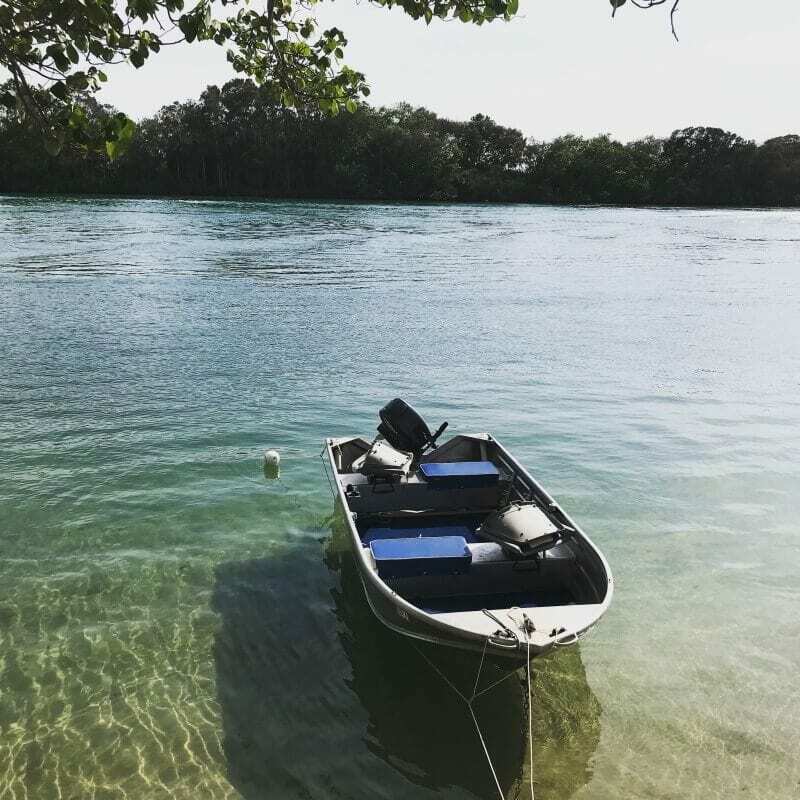 Spending the afternoon fishing together on the river was one of the highlights to our weekend at Brunswick Heads. 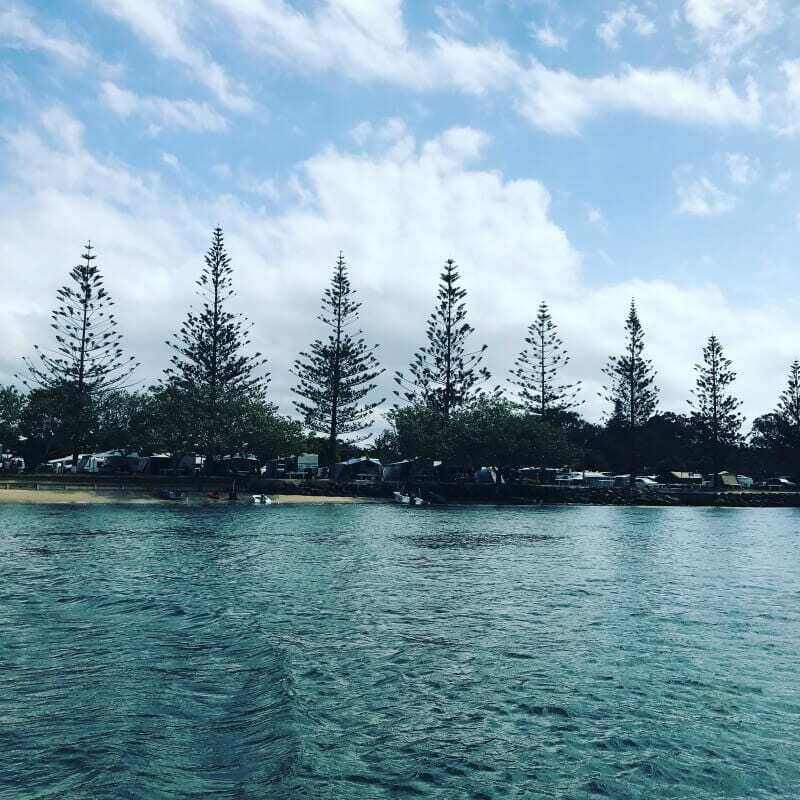 If you’re looking for a place to getaway from the chaos of your normal family routine, jump in the car and head to Massy Greene at Brunswick Heads. Don’t forget to pack your fishing rod! 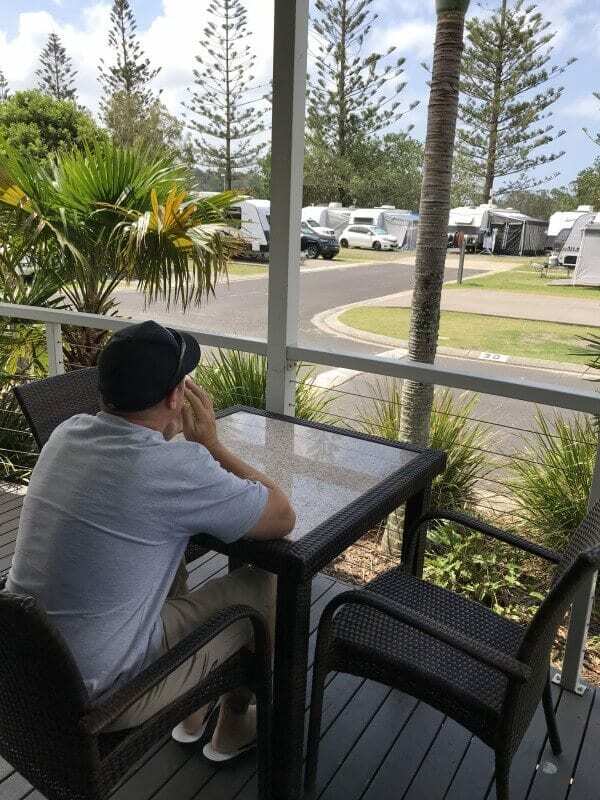 Reflections Holiday Parks, (previously North Coast Holiday Parks, South Coast Holiday Parks and Inland Waters Holiday Parks) are all about getting back to and closer to nature. 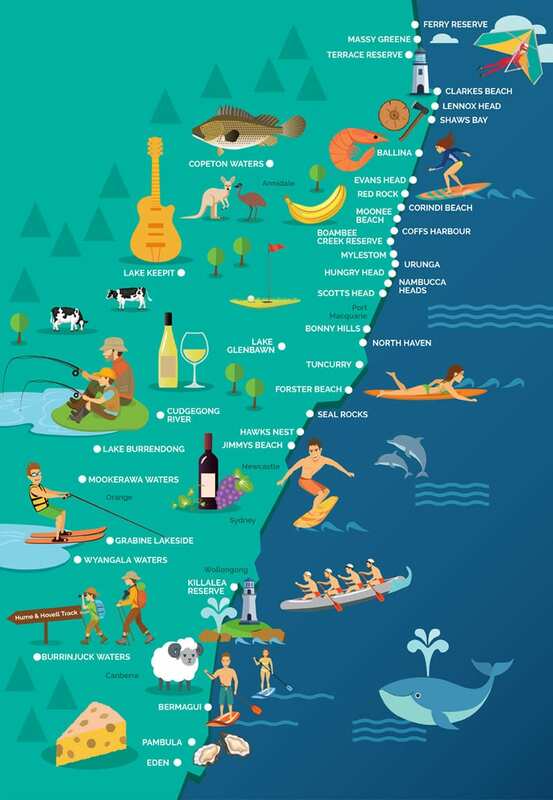 All 37 NSW parks are located on crown land in iconic locations. 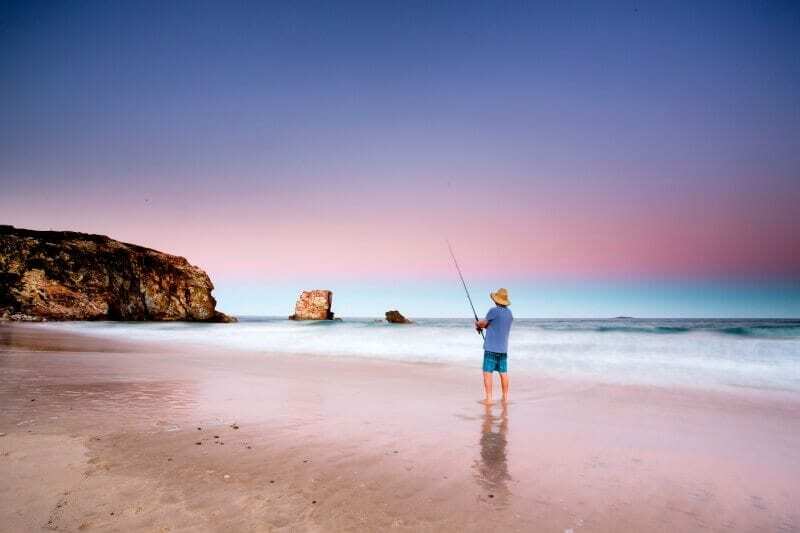 It means staying at a Reflections Holiday Park gets you closer to animal life, beaches, lagoons, and activities like fishing, surfing and bush walks. 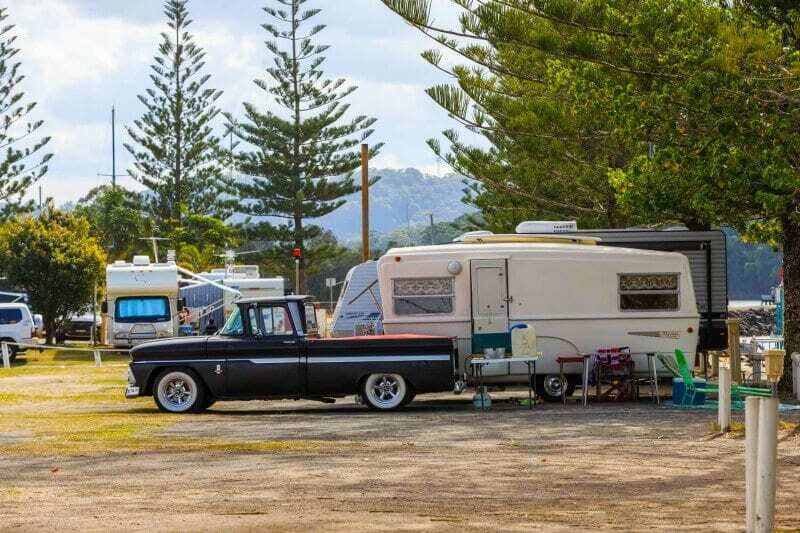 Unlike other holiday destinations, Reflections Holiday Parks reinvest back into their parks and public recreation reserves on Crown land to ensure that families have natural spaces to relax and reconnect and enjoy the serenity. 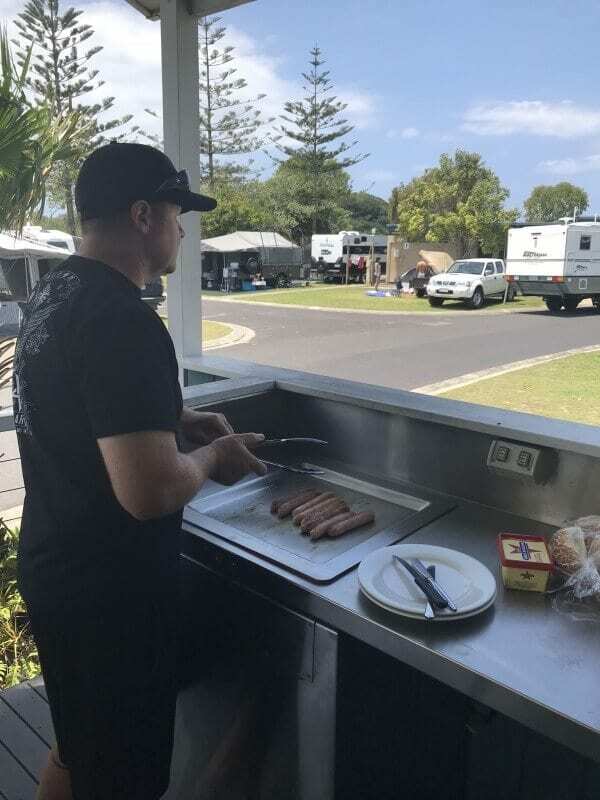 As you unwind, remember that funds raised from your stay go back into caring for and re-developing the holiday parks and important Crown land public recreation reserves which so many communities enjoy. Your break reinvigorates both you and the environment. And for dog lovers, 24 of the 37 Reflections Holiday Parks are dog-friendly. Where are the Reflections Holiday Parks located? Time for you to reconnect to nature with your family. We’ve organised a special giveaway for three of our y Travel readers to win a weekend getaway worth $500. 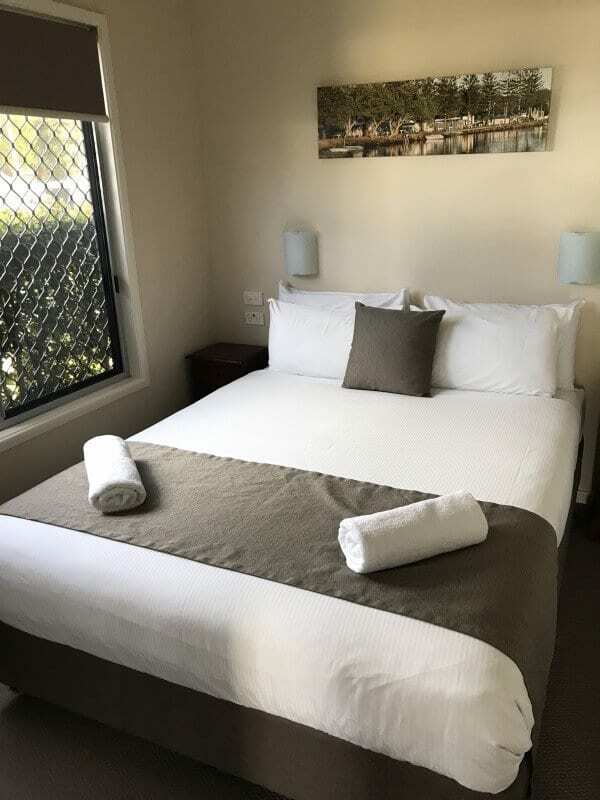 The Prize, in the form of a Reflections Gift Voucher, may be redeemed on accommodation at their choice of location from any Reflections Holiday Parks in NSW and is valid for twelve (12) months from issue. Simply fill in the below form using your email. Receive a bonus entry by visiting Reflections Holiday Park Facebook page and giving it a like! Entry is only open to Australian residents aged 18 years or over, residing in New South Wales, Queensland and Victoria. The winner is determined by utilising a random winner generator. Authorised under NSW permit number: LTPS-17-19411’. Looks delicious! Next time I make it I’ll try adding some chipotle peppers in adobo sauce as well as some agave syrup. Earl, I used to travel exactly like you – didn’t make any reservation in advance. Especially when going with the car across Europe: I used to drive as much as I could every day, visit interesting locations and then find a nice hotel to sleep for the night. So each morning I never knew where I was going to end up sleeping each night. However as I learned more about traveling and prices I found that sometimes it’s better to book ahead of the time. It’s cheaper, and I also avoid being very tired and having to search for a hotel for 2 hours (there are towns in which you can’t find a hotel easily – such as Budapest, Varna, etc), or find that all the hotels are fully booked by others because of a concert in town (happened to me in Munich – happily I was with the car and found a hotel outside of Munich, but I had to drive for 1 hour and I was already dead tired from previous driving). Going online to search for hotels while in a new country is often not an option because of the 3G roaming charges – you can easily spend hundreads of euros. I will try airbnb.com instead of hotels – I prefer to support local families instead of large commercial organizations such as hotels or hotel chains. I am visiting Helsinki later this year and have just been trawling the web for info on it. I found your article really informative, now very excited about my trip. Thanks for sharing!